Register Log In GliderCENTRAL Forums HELP! I'M NEW... Greetings from a soon-to-be mom! I have been lurking for a while, and wanted to finally register and introduce myself! 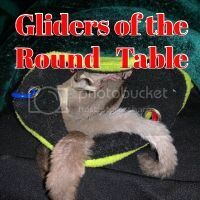 I have been researching gliders for quite a while, and am going to be welcoming 2 little girls in 2 weeks! I am excited and nervous, but I feel ready. I have the cage all set up, lots of toys, pouches, etc, and most of the food. Just need to pick up fresh stuff right before they arrive! to GC! So glad you're here! Welcome to your adventures with gliders! Thank you for all the "Welcomes"
I am sure I will have lots of questions as my relationship with the girls progresses. I do enjoy reading the other posts, and have learned so much from them. There is much knowledge and experience here! 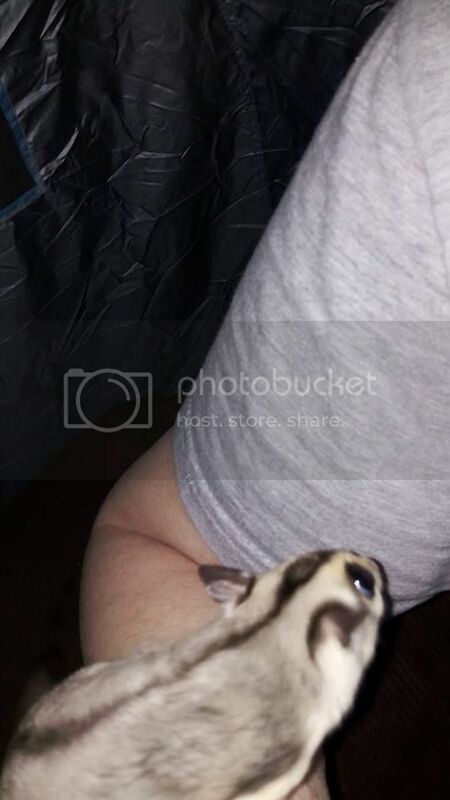 Hi and I am fairly new to the site-as well as gliders and glad to meet another newbie! Greetings, salutations, & generally welcome to the madness of sugar glider. No, sorry, no support meetings to stay off the glider, but plenty of encouragement here to embrace the addition. Glad to have you on board & I can't wait to meet your girls (after all, we LOVE stories & pictures... hint, hint). Does anyone have any suggestions for making the whole process a little less traumatic? I would cancel vet appt till next Friday. If they are Joeys, it's gonna be a lot in one day. They will be encountering many new sights and smells. The environment they knew all their life will be no more. I would allow them to grow accustomed to you and your scent. That way when they go to the vet your scent will be familiar and help with stress. It can also become a step in bonding. I commend you on being so good about getting everything ready for them in advance not to mention setting up their first well check. So many new owners overlook doing that. I agree with Dawn about rescheduling to a little later, however, I would get as much information as possible from the person you are getting your little girls from if you haven't done so already. Information on their parents may also be helpful. Giving them some time to get used to their surroundings as well as you will make their vet visit easier. You might also notice things you want checked after having them with you for a few weeks. It may also give you the chance to be the safe place when the visit is over. I love the names you chose! I have a dog named Willow. Yes, we do love to see pics!! Thank you Karen and Dawn. The girls made it home safe last night!!! They were eating and playing in no time at all. Definitely two different personalities, but both very sweet and calm. The just had some mealies before bed. I think they are pretty worn out after a long day yesterday. I will post up pictures soon! Our first picture! It didn't turn out that good, I think because of the lighting in the bathroom. We are getting along great, and I think they are bonding very well. We had our first nail trimming, which went reasonably well. They are so sweet. They have wonderful temperaments, and rarely crab about anything at all. They also don't bite, except a little nip if they smell something good on my fingers, but it doesn't hurt at all. Last edited by alicat; 05/05/18 07:44 PM. Thanks so much for sharing the picture, and so glad to hear things are going so well Keep up the good work, and for sure keep posting those pictures. We do pictures.